A strong core not only helps improve power and balance, it can also help decrease the likelihood of injuries. And nothing looks better than a strong, lean mid-section. 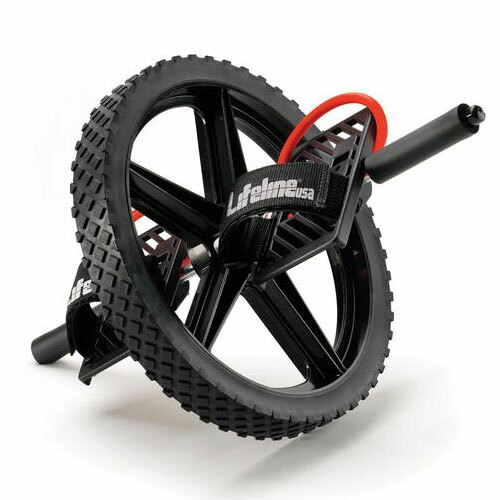 The Lifeline Power Wheel delivers a series of intense exercises that challenge your abs, obliques, back, hips and glutes. You’ll even see (and feel) the effects on your chest, arms, hamstrings and calves. With exercise options that vary from mild to downright wild, this is the perfect piece of equipment for all fitness levels. The Lifeline® Power Wheel was determined to be “The Best Core Trainer in the World” by an independent research study done at the University of California Berkeley.